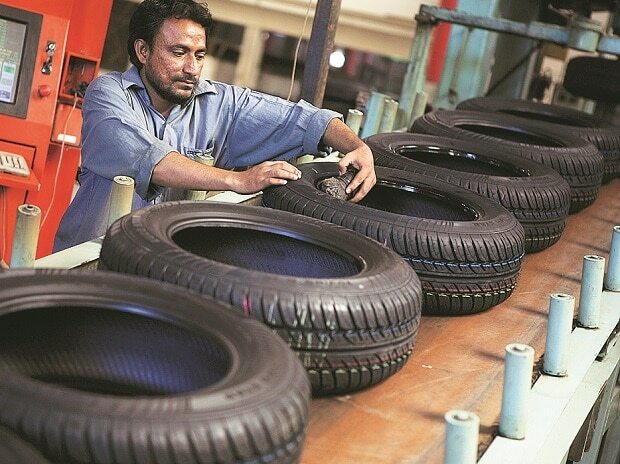 Tyre major MRF said on Tuesday that the ongoing strike by a section of employees at the company's Tiruvottiyur factory, near Chennai, is illegal. The strike started on February 9, 2019. After workers alleged that they were forced to go on strike in response to the company's decision to install surveillance cameras and delay the wage settlement, the company said that the strike was illegal as the notice of the strike, including reasons for the same, had not been served on the company. Speaking on the delay in wage revision, the management claimed that its efforts to reach an amicable settlement with the union had been inconclusive and as a result, the matter was pending for adjudication before the industrial tribunal in Chennai. The union noted that the wage settlement was pending for almost 10 years and the matter was currently in court. Even as it tries to seek the government's help in resolving the camera issue, the union said that it would intensify the protest in the next few days. The union is also demanding a tripartite meeting, if a bilateral meeting is not fruitful, to resolve the issue. While the management said that the installation of CCTV cameras was aimed at boosting safety, security etc, the union's demands were also rejected by the Industrial Tribunal. It may also be noted that installation of CCTV cameras is a requirement under the prevailing laws in Tamil Nadu, the company said. Meanwhile, responding to employees, who said that CCTV cameras violated the workers' privacy rights, company management said that it had installed the cameras after getting a favourable order from the Court, which said that it was not in violation of workers' rights. The Tiruvottiyur facility, near Chennai, is one of the nine factories the company has across India.